imagination and pianism speak powerfully and eloquently.” Conductor Stanisław Skrowaczewski described his collaborations with Kevin Kenner to be the most sensitive and beautiful he remembered. Born in southern California, Kenner showed his interest in piano from a very young age and studied there with Polish pianist Krzysztof Brzuza. As a teenager, Brzuza sent him to Poland to audition for the eminent professor Ludwik Stefański, who immediately prepared him for the 1980 International Chopin Competition in Warsaw, where he was the youngest competitor and in which he received a special award from the jury. Following the death of his Polish teacher, he continued his studies for the next five years with Leon Fleisher at the Peabody Conservatory in Baltimore. As a student he benefited much from his years at the Tanglewood Music Festival where he had the occasion to work with Leonard Bernstein. Returning to Europe once again, Kenner concluded his formal training in Hannover with Karl-Heinz Kämmerling and made his permanent home in Europe, firstly in England, where he taught for many years at the Royal College of Music in London, and now in Kraków. Apart from his work as a teacher, he has served on juries of some of the most celebrated international piano competitions. 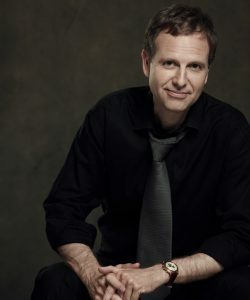 Kenner has performed as soloist with world-class orchestras including the Hallé, BBC Symphony, Deutsches Symphonie-Orchester Berlin, Warsaw Philharmonic, Czech Philharmonic, National Orchestra of Belgium, Orchestra of the 18th Century, NHK Symphony of Japan, San Francisco Symphony, and St. Paul Chamber Orchestra. He has collaborated with conductors such as the late Sir Charles Groves, Andrew Davis, Hans Vonk, Jiří Bělohlávek, Jahja Ling, Jacek Kaspszyk, Stanisław Skrowaczewski, Antoni Wit and Jerzy Maksymiuk. He has joined with string quartets such as the Belcea, Tokyo, Endellion, Vogler, Casal and Panocha, and worked as duo partner with cellist Matt Haimovitz, and since 2011 with Kyung Wha Chung. He is a frequent guest at the Great Mountains Music Festival in Korea and the Chopin and His Europe Festival in Poland. Kevin Kenner’s recordings are distributed internationally and include many discs of Chopin works as well as recordings of Ravel, Schumann, Beethoven, Piazzolla and Paderewski, the latter two having won special prizes. His recent CD “Chopin Resonances” was singled out by Gramophone Magazine as the Editor’s Choice and was nominated for the International Classical Music Awards in France.